I don't have Friendster but I love this! Who is this DOMO character? I keep seeing him with his mouth open. 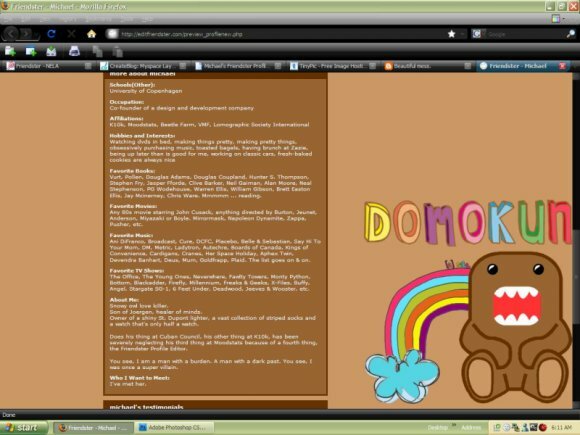 There is a present people buy people on another site I'm on and it's called DOMO farting, and it shows him breaking wind. Who IS he? This is my ultimate favorite! It's Awesome! I think it's awesome that you're making Friendster layouts. The Friendster section of this site has been neglected for a long time.